It’s time to recommend some YouTubers! 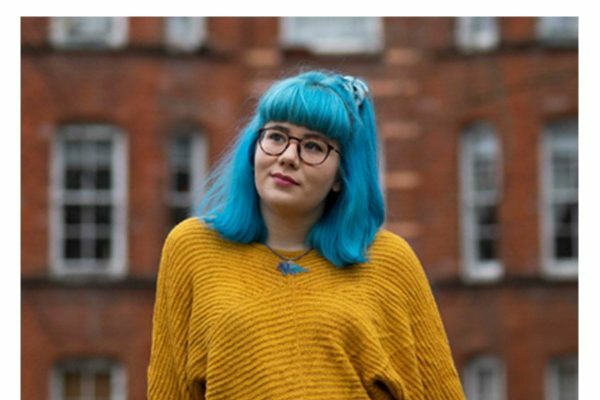 Back in December 2018, Hannah Witton uploaded a video where she shared her favourite disability YouTubers, in recognition of World Disability Day. She recommended numerous creators and we’re about to do the same. 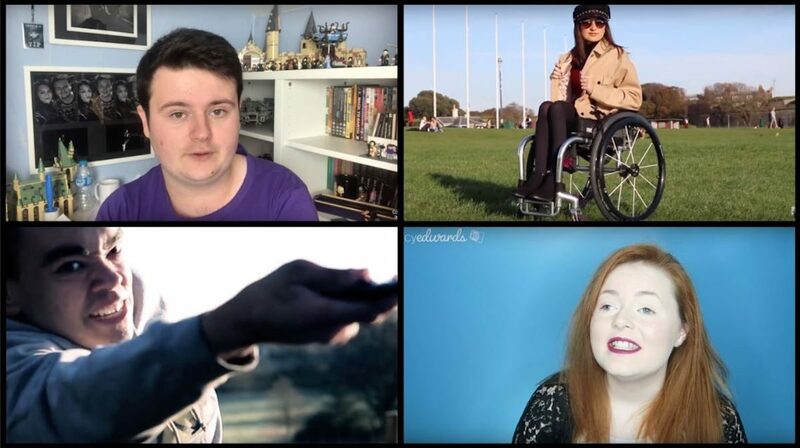 Prepare for your sub boxes to be filled with hours of great content – here are 10 disability YouTubers you should be watching! Jessica Kellgren-Fozard‘s channel features discussions about disability, while also showing off a vintage style that has us yearning to jump back in time! She has Hereditary Neuropathy with Liability to Pressure Palsies (HNPP) and Mixed Connective Tissue Disease (MCTD), which, among other things, resulted in her becoming deaf in her teen years. However, she’s not let that stop her from living her life, as shown through the various videos on her YouTube channel. What we love most about Jessica’s channel is how honest and open she is, as she doesn’t shy away from discussing topics others might avoid. Her videos consist of discussions about her disabilities, as well as vlogs about her style (she recently launched her very own merch line) and life, and travel vlogs featuring her lovely wife. Speaking of her wife, can we talk about how ADORABLE these two are together?! They are such couples goals! 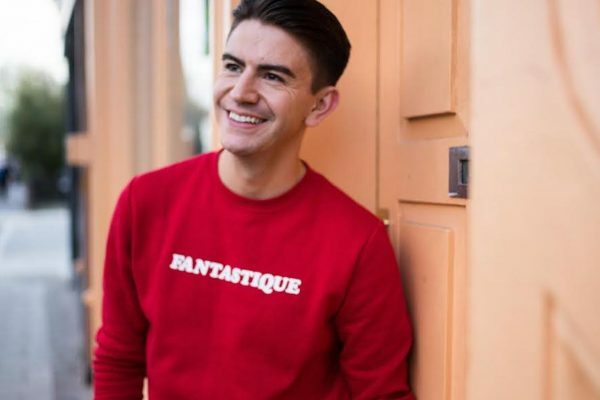 We know some of you reading TenEighty might not be too involved in sports or exercise – it’s just so much effort when the couch is so appealing – but we know you’ll have a change of heart after checking out Oliver Lam-Watson‘s channel. Not only is Oliver a member of the British Wheelchair Fencing Team, he’s also hoping to compete in the 2020 Paralympic Games! Oliver was born with a vascular disorder that affects his left leg, meaning he has to walk with crutches, but he hasn’t let that hold him back from pursuing his dreams. His videos work to inspire viewers to persevere, go after their dreams and get excited for the future. We love the enthusiasm he brings to the platform, and you can bet we’ll be cheering him on at all the fencing events he attends! Lucy Edwards is a blind YouTuber who shares her love for makeup and beauty with viewers on a regular basis. Along with videos about her condition, she uploads a variety of beauty tutorials (her Halloween witch tutorial was EVERYTHING), shares numerous Favourites videos and does hilarious challenges with her fiancé. We love the positive attitude she brings to YouTube, and we wish everyone was as positive and encouraging as she is. Also, can we talk about how cute her guide dog is? We always get excited when Lucy features Olga in a video – she’s just so cute! 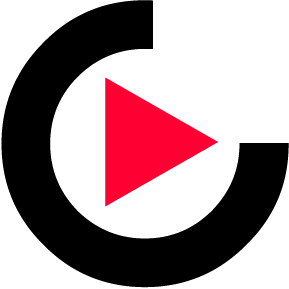 Epsen’s channel features discussions about his disability, as well as things happening in the world and on YouTube. He gives us the vibe of old YouTube, when creators would have a heart-to-heart with the camera and edit in funny sketches here and there to further prove their point. His channel leaves us feeling pretty nostalgic. One of our all-time favourite videos of his is his one on networking. Yes, we know it’s important, but why does it have to be so awkward and tedious?! 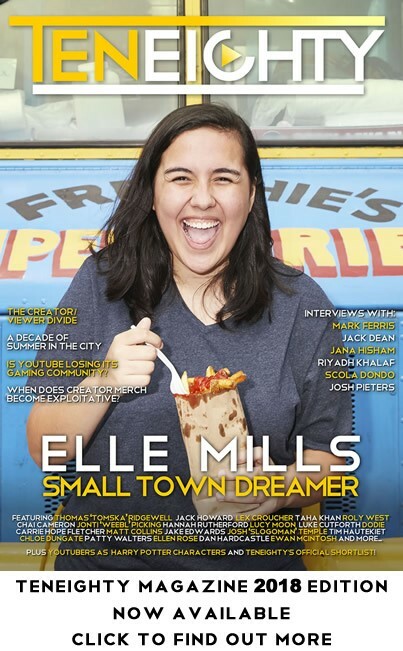 Ellie Darby-Prangnell has Spinal Muscular Atrophy, which she details in length in a video uploaded to her channel in August 2018. In it, she shares with viewers the journey from her diagnosis to now, and details how it was growing up. 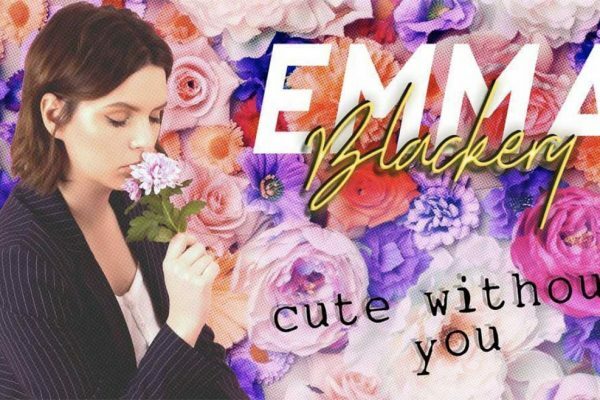 What we love most about Ellie’s channel is her positive attitude, which radiates throughout her videos. We also love the diversity of videos. 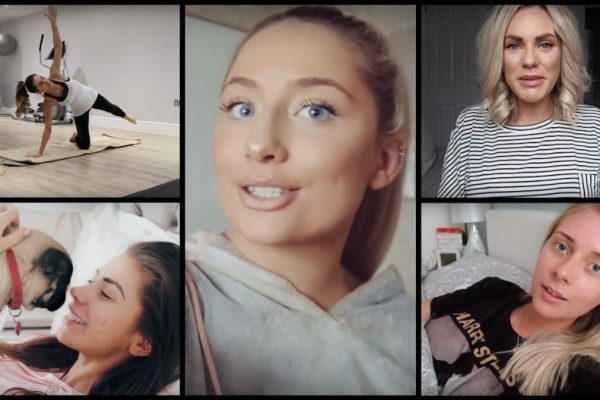 Whether you’re in need of some weekly vlogs, clothing hauls and look books, or would like to learn more about what it’s like living with SMA, Ellie has filmed it all. Hers is definitely a channel we recommend you check out. Are you looking to better your school studies? Do you have an interest in fashion and beauty? If you answered “yes” to any of these questions, then we highly suggest you check out Nicole Biddulph‘s channel. Nicole’s videos span a range of genres, showing her capability to appeal to a wide range of viewers. We love the clothes she recommends to us in her haul videos, and her school-related videos are definitely going to ensure everyone aces their exams. As for her beauty tips, we have her to thank for always looking as gorgeous as we do. Nicole uploaded a video in late 2017, sharing her history of cancer and spinal cord injury, which resulted in her having to undergo physiotherapy and use a wheelchair as a result of paralysis. We really appreciate this video, for it’s not only working to break the stigma around spinal cord injuries, but it shows her dedication to raising awareness, which we think is pretty cool. If you’re a fan of weekly vlogs, haul videos and all things beauty, then we highly suggest giving Shelby Lynch‘s channel a watch! 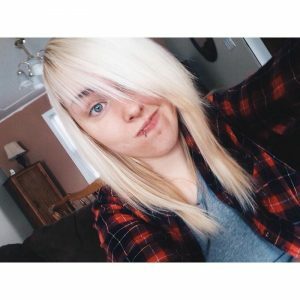 She pretty much has everything cornered on her channel, meaning you’ll be treated to tons of variety. We love getting a glimpse of her life through her weekly vlogs – we are totes jealous of the time she went to see Demi Lovato in concert – and we really appreciate it when she tests out makeup products. It’s good to know what we’re getting before we go out and spend our money. Also, can we talk about how much hair envy we feel while watching her videos? 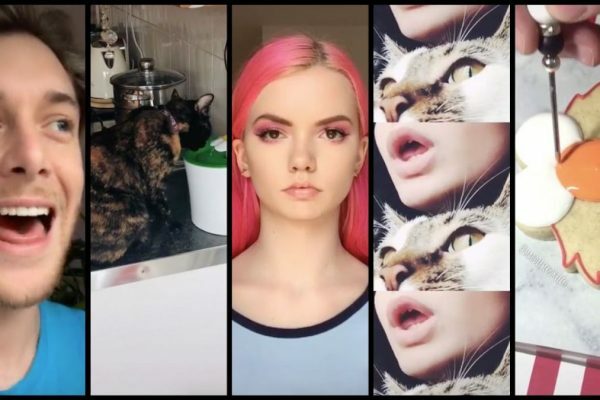 Whether she’s rocking a sleek silver or adding some colour with pink and red, we also feel the itch to dye our hair whenever we see her videos pop up in our sub boxes! 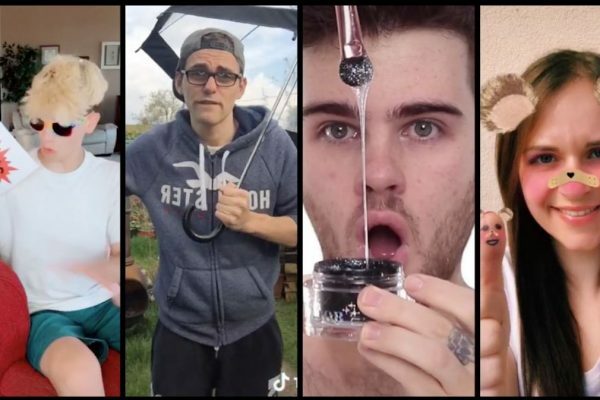 10 disability YouTubers we feel you should be watching. While we’ve only featured 10 on our list, there are many more out there who are making equally stellar content. Have any creators you’d like to recommend to us? Be sure to send us a tweet and let us know! We’re always looking to enrich our sub boxes and discover new and upcoming talent.